MOSCOW, January 19. /TASS/. 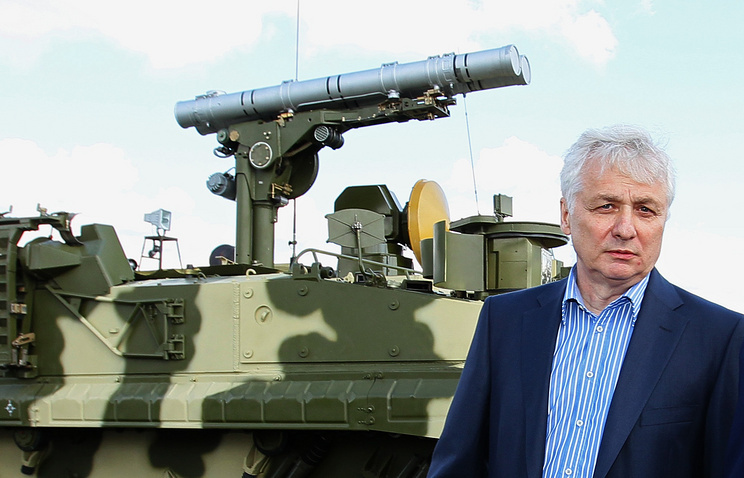 The general designer of Russia’s Machine-Building Design Bureau, which designed the missile complex Iskander-M, Valery Kashin, doubts the Ukrainian defense-industrial complex will be able to come up with its own counterpart of this weapon system in the near future. Some media said last autumn Ukraine was working on its own system Grom-2, described as a “close analogue” of Iskander. President Pyotr Poroshenko later said Ukraine had successfully tested another missile, being developed under the program for restoring the country’s nuclear shield, declared at the beginning of 2016. He did not specify what missile he was referring to. “There have been quite a few reports Ukraine all of a sudden developed hectic activity in this field. The media said Ukraine wished to develop its own system of this class on foreign money. By the look of it, it is very much like Iskander. But I have big doubts their industry will be able to cope with all issues related with making such weapons within tight deadlines. The more so, since many industrial facilities possessing the required capabilities are in Donbass. Also, the financing should be systematic and plentiful,” Kashin said. Also, he recalled that the Ukrainian defense-industrial complex has problems with human resources. “As far as I understand, the people who were still working back in 1991 – I’m talking about missile industry workers – have grown old and are on retirement,” Kashin said. November 17 – The deployment of Russia’s Iskander missile systems in Armenia was a necessary measure to ensure regional stability, Armenian President Serzh Sargsyan said. Iskanders were first demonstrated on September 21 at a military parade in Yerevan marking the 25th anniversary of Armenia’s independence. They were reportedly adopted by Armenia’s Armed Forces earlier and were put on combat alert during the escalation in Nagorno-Karabakh in April this year. “I think this [deployment of Iskanders in Armenia] was a necessary measure to somehow balance the military situation in our region,” Sargsyan said. “It is no secret that Azerbaijan has regularly purchased state-of-the-art weaponry in the past few years. We do not have such financial capabilities as Azerbaijan, but we are constantly trying to balance the situation by finding an antidote. I think Iskander is such an antidote in this case,” he said. Azerbaijan’s Armenian-dominated breakaway region of Nagorno-Karabakh proclaimed its independence in 1991. After the military conflict ended in 1994, Azerbaijan lost control over the region. Violence erupted in Nagorno-Karabakh on April 2, 2016 and led to multiple casualties. The parties to the conflict signed a Russian-brokered ceasefire on April 5, but mutual accusations have not stopped so far. “There is a solution, and we realize that it should be based on compromises, it is not the case when Armenia, Azerbaijan or Karabakh would win,” Sargsyan said. He said Yerevan was ready to resume talks with Baku, but “only on the basis of the three principles,” which include non-use of force, territorial integrity of states and the right of peoples to self-determination. Sargsyan confirmed to Sputnik his readiness to meet with Azerbaijan President Ilham Aliyev, if such talks would be useful. “We have never refused any meetings. Whether it is [a meeting] on the presidential, foreign ministerial, even working level. But we always call for these meetings to be useful, bring progress. If there is no progress when we meet, and agreements do not get implemented, what is the benefit of meetings?” Sargsyan said. According to the president, Armenia is ready to sign an agreement on investigation of ceasefire violations in the disputed Nagorno-Karabakh conflict zone “even tonight.” “We want the co-chairs [of the Minsk Group of the Organization for Security and Co-operation in Europe] and the international community to know who is violating the ceasefire regime,” he added. Armenia Recognizes Azerbaijan’s Territorial Integrity Armenia recognizes the territorial integrity of Azerbaijan, but believes people’s right to self-determination needs to be taken into account in resolution of the Nagorno-Karabakh issue, Serzh Sargsyan said. “We recognize the territorial integrity of any state, including Azerbaijan. But people’s self-determination does not contradict in any way the principle of territorial integrity, because territorial integrity concerns relations between countries while self-determination [is related to] the capital and the people that live compactly in the civilized world, all issues are resolved without the use of force, especially in the historical motherland,” Sargsyan said. According to the president, if Armenia rejected the principle of self-determination, then it should not have left the Soviet Union on its basis. “Therefore, these principles do not contradict each other,” he added. No Need to Establish New Russian Military Bases in Armenia There is no need to establish new Russian military bases in Armenia, it would be enough to expand the capacity of the existing one in Gyumri, President Sargsyan told Sputnik. “I do not believe that there is any need in this because the military base is able to take in all elements which may be needed. Therefore, one military base is enough for the small Armenia, it is just necessary to give it military power,” Sargsyan said. The Russian 102nd Military Base is located in the Armenian city of Gyumri. On August 20, 2010, Russia and Armenia agreed to prolong the agreement on the base location until 2044. Armenia Fully Supports Russia’s Actions in Syria Armenia is supportive of Russia’s actions in Syria, President Sargsyan told Sputnik. “We fully support Russia providing help to the Syrian government upon its request. There can be no doubts here. This is a legal right of the Syrian government to ask for help, and Russia’s legal right to provide this help,” Sargsyan said. According to the president, Yerevan would like to see the Syrian crisis resolved quickly, but it can only be settled by the Syrian people. “Of course, we would like for this issue to be resolved quickly, however, as I can see, there can hardly be a quick solution. There are 20,000 of our compatriots living [in Syria]. We do not have exact information,” Sargsyan said. Armenian-Turkish Border Can Be Opened Only by Mutual Consent The Armenian-Turkish border can be opened only with the agreement of both sides without any preconditions, Armenian President Serzh Sargsyan told Sputnik. “One cannot say that the issue is 50 percent resolved, that is not the case. Nothing depends on us in this respect,” Sargsyan said. He said that despite tensions in the Armenian-Turkish relations in 2008 Armenia initiated negotiations with Turkey and in 2009 the countries signed protocols on opening the border. “But unfortunately some time later Turkey turned out not to be ready to ratify these protocols and in fact to establish ties with Armenia without preconditions,” Sargsyan said. The president said that Turkey demanded to exert pressure on Nagorno-Karabakh so that it transferred one of the districts it controlled to Azerbaijan. From Sargsyan’s point of view such preconditions should have been announced before signing the protocols. “After that we have no relations with Turkey,” he added. The Armenian-Turkish relations are negatively influenced by what is recognized as genocide of Armenians by Armenia and some other countries. Around 1.2 million Armenians were killed or starved to death by the Ottoman Empire during and after World War I. Turkey has repeatedly denied accusations of committing mass murder of Armenians, claiming that the victims of the tragedy were both Turks and Armenians. Serzh Sargsyan said he never regretted his country’s entry into the Russia-led Eurasian Economic Union (EEU) almost two years ago, in an interview. Armenia’s accession to the economic bloc of Russia, Belarus, Kazakhstan and Kyrgyzstan came into effect in January 2015, months after Russia was hit by US and EU sanctions over Ukraine. “Armenia’s entry into the EAEU coincided, unfortunately, with post-sanctions economic downturn in Russia, the union’s powerhouse,” Sargsyan said, adding that his country “did the right thing” and “lost nothing.” The fallout from anti-Russia sanctions worsened Armenia’s performance, which has a market of three million people and is tied to the Russian economy “with a thousand strings,” the president said. “By joining the Eurasian Economic Union, we became part of a market of 170 million or even more. As soon as we reach the union’s main goal of streamlining the flow of goods, services, workforce and capital we will win a lot,” he said. The EAEU promotes economic integration of Eurasian countries and tighter cooperation between the bloc and other trade unions. In May 2015, it signed a preferential trade deal with Vietnam, the first such pact with a non-member country. Russian Prime Minister Medvedev said earlier this month a similar deal could be signed with China’s Silk Road Economic Belt. Armenian Exports Rise Almost 50% in 2016 Armenia’s exports have increased nearly 50 percent in 2016, Sargsyan told Sputnik. “We significantly increased exports this year and last year as well. This year, we increased exports by almost 50 percent. Most of it headed for the Eurasian Economic Union, or course. And this fact is very, very important,” Sargsyan said. The South Caucasus country’s relatively small economy has performed well over the past several years despite some members of the Eurasian bloc having gone through economic hardship. Armenian exports increased over 25 percent year-on-year in September after soaring to over $160 million, the highest figure since the all-time peak of over $162 million in 2012, according to the country’s National Statistical Service. GDP growth has also exceeded most other EAEU members. Armenia’s Shift to Parliamentary System to Improve Security Armenia’s planned transfer to a parliamentary republic from the current semi-presidential system will improve the country’s security, President Serzh Sargsyan told Sputnik. The current system allows for a deadlock between the presidential executive authority and the parliamentary majority in case the latter is from a rival political bloc. Vesting political power in the parliament will allow for a more efficient distribution of decision-making in terms of security issues, according to the president. “The [current] constitution says that the president is responsible for the security and the territorial integrity of the country. The president is the commander-in-chief…. The commander-in-chief is tasked with ensuring that the state is working to solve military-political issues. And how could he do that without having the right to spend some of the budget?… So I think that this [parliamentary] form of government will lead to Armenia’s security being better ensured,” Sargsyan said. Armenia plans to change to a parliamentary system between 2017 and 2018 after the 2017 parliamentary election takes place. The election will be the first since Armenians voted to adopt a parliamentary system in a referendum on December 6, 2015. Over 66 percent approved the necessary constitutional amendments. 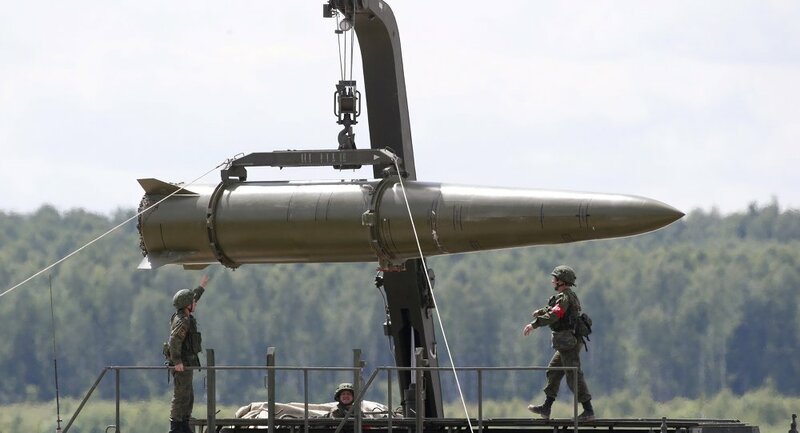 April 15 – Russia carried out a combat training launch on Friday of a high power cruise missile from Iskander-M ballistic missile systems in the country’s southwest, the defense ministry announced. “The missile brigade of the Central Military District carried out a combat launch of a cruise missile from the operational and tactical Iskander-M missile system against a command center of a simulated enem…y some 200 kilometers [124 miles] away,” the statement reads. The missile, manufactured using technologies to reduce radar visibility, was not detected by the simulated enemy’s electronic warfare equipment and successfully hit its target. According to the statement, the altitude of the main part of the flight was around 40-50 kilometers. The 9K720 Iskander-M entered into service in 2006 to replace the OTR-23 Oka missile system, retired following the Intermediate-Range Nuclear Forces Treaty between the United States and the Soviet Union. 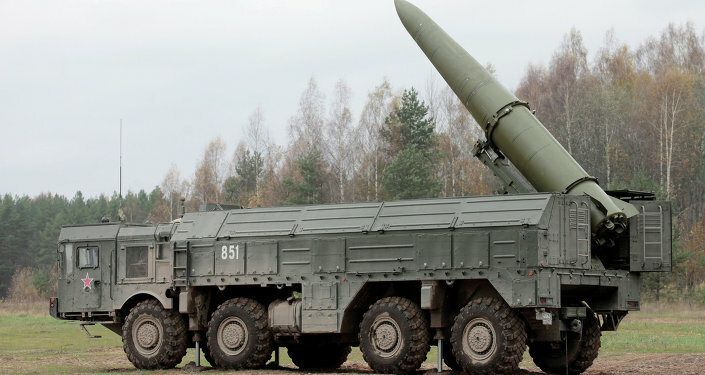 The Iskander is characterized by its high mobility and maneuverability, as it takes just 20 minutes to put the system into operational readiness. Russia’s defense industry is developing new missile types for the Iskander-M system, the Army’s missile forces chief said on Sunday. Russia is developing new types of ballistic missiles for the Iskander-M tactical nuclear-capable missile system, the deputy head of Russia’s missile forces Aleksandr Dragovalovsky told radio station Russian News Service. Dragovalovsky did not specify the exact types of missiles being developed for the system. Konstrukskoye Buro Mashinostroyeniya, the design bureau behind the Iskander, said in a press release this week that the system currently has four types of ballistic missiles and one cruise missile. “This system, the Iskander-M, has a great potential for modernization, which is happening in terms of armaments and missiles in particular. That is, the standard array of missiles is growing and new missiles are being developed,” Drugalovsky said. Russia’s military conducted its first nighttime test of the Iskander-M on Thursday.The missile force chief added that the base chassis is also being made more reliable, and should remain in service for the relatively long term. Drugalovky also said that 9K98 Smerch multiple rocket launcher and its modernized version, the Tornado-S, would receive guided missiles. The 9K98 system currently has a range of up to 120 kilometers. The Iskander-M is a rapid-deployment tactical system designed for eliminating targets at a range of up to 500 kilometers. It is intended for small-scale targets such as missile systems, multiple rocket launchers, long-range artillery, airfields and command posts.